Bank of the Philippine Islands, through its stand-alone unit BPI Asset Management and Trust Corporation (BPI AMTC), is offering a new way to invest that maximizes financial returns while promoting universal human values. The BPI Catholic Values Global Equity Feeder Fund invests in global securities based on Catholic ethical, environmental, social and governance metrics. This ethical investment strategy has reaped attractive returns for the fund, reaching 14.6% net returns in 8 months (from its launch in May 2017 until end-January 2018). 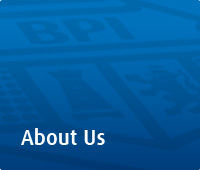 “As a responsible corporate citizen, BPI, through its various financial products and businesses, has always supported projects that contribute to job creation, technology development, and economic growth. This fund is the only one in the country that focuses on companies that sustain and adhere to Catholic values. It’s about investing with a higher purpose,” said Mario T. Miranda, President and CEO of BPI AMTC. Christian Brothers Investment Services, which manages the target fund for BPI AMTC, recognizes the priority concerns of Catholic institutions and applies the screening process on companies that come in conflict with the moral and social teachings of the Church. “This is an investment strategy that intends to help Catholic institutions pursue their missions by providing sound financial returns in accordance with the teachings of the church,” said Alessandro Lombardi, Global President of Christian Brothers Investment Services, during a recent client forum titled “Investments and Ethical Values: The New Order,” which was arranged by BPI AMTC for universities, foundations and religious corporate investors. Manila Archbishop Luis Antonio Cardinal G. Tagle likewise extolled the wisdom of ethical investing. “Investments should not be directed solely by private profit and self-interest but must be balanced and corrected by the concern for the common good and the promotion of human dignity. As one invests for profit, one must not lose sight of the things that really matter,” he said in his keynote speech. The Director of Sustainability at Ten Knots Development Corporation, Ms. Mariglo Laririt believes that business results are enhanced and sustained if companies focus not only on financial growth but on environmental stewardship, community engagement, and organizational development. The BPI Catholic Values Global Equity Feeder Fund is open to both institutional and individual investors who believe in the opportunity to make money and make a difference in the world. For a minimum amount of PhP100,000, investors may invest in the BPI Catholic Values Global Equity Feeder Fund, available through BPI and BPI Family Savings bank branches, BPI Online Banking, and the BPI Mobile App.